Once you finish developing your ASP.NET Core web application the next step would be to deploy it under the IIS. Although this process is quite similar to traditional ASP.NET Web Forms or MVC applications, there are a few things you need to be aware of. 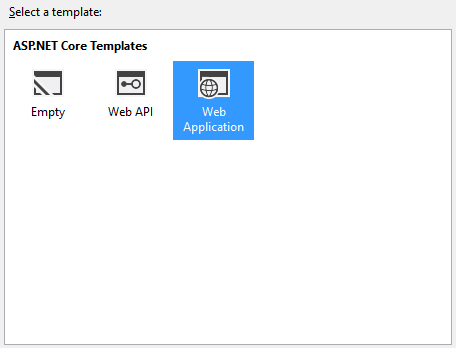 To that end this article explains how an ASP.NET Core web application can be deployed under IIS. 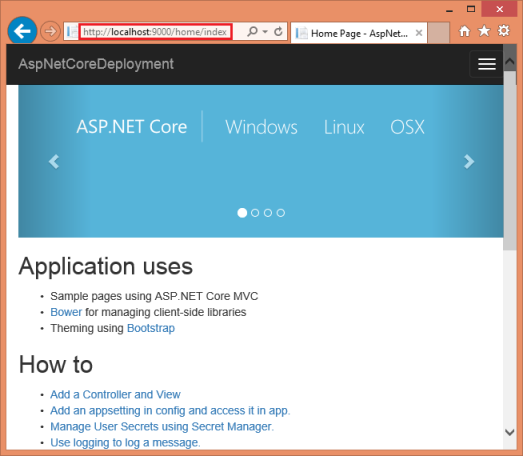 An ASP.NET Core web application is hosted and run by Kestrel, an inbuilt web server. This means technically you don't need IIS at all to run your web applications. Your requests can be directly handled by Kestrel. However, you would still want to go with IIS because unlike Kestrel, IIS in a full-blown web server with a lots of features and management user interface. When you host your ASP.NET Core web applications under IIS, IIS is basically acting as a reverse proxy. The following figure shows the relation between IIS and Kestrel. As you can see IIS is simply forwarding your requests to the Kestrel. For all this to work as expected the IIS makes use of AspNetCoreModule component. This component gets installed when you install the .NET Core framework or you can install it using this. Ok. Now that you have got some idea as to what we are attempting to do, let's begin with a simple example. Begin by creating a new ASP.NET Core web application. You can use the Web Application template to do that. Once created, open Program.cs file and ensure that the following entries are present. 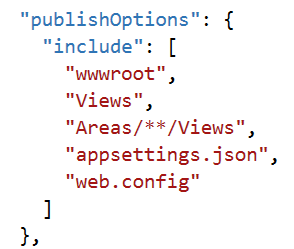 Then open Project.json and ensure that the following entries are present. This will ensure that publishing wizard of Visual Studio copies the view files and configuration files to the destination. For this simple example. let's not add any code as such and go straight to the publishing. 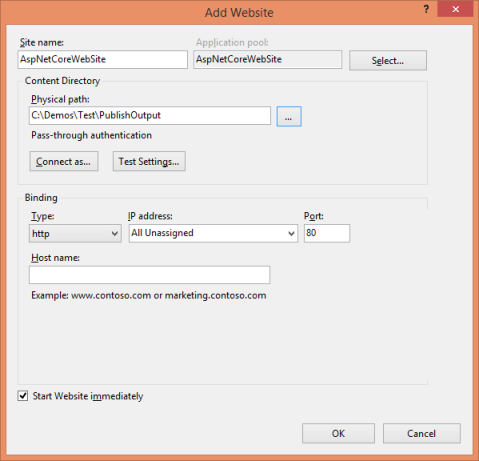 Select Build > Publish menu option to open the Web Site deployment wizard. This is the same wizard that you used for traditional ASP.NET web forms and MVC applications. Using this wizard publish the web application to a physical folder (see figure below). Now you are ready with all the deployables needed to deploy your web application under IIS. Specify a website name and under the Physical path area pick the same folder where you published your application in the previous step. You may also consider changing the port number if you so wish. Clicking OK will create the IIS website for you. 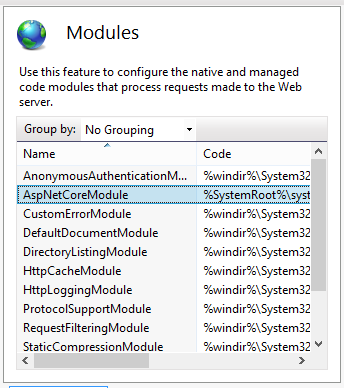 Once created go to the Modules option of the website and ensure that AspNetCore is listed in the module list. As discussed at the beginning of this article, IIS is simply acting as a reverse proxy. So, IIS doesn't play any active part in executing your application code. That's why you need to configure your IIS website's application pool accordingly. 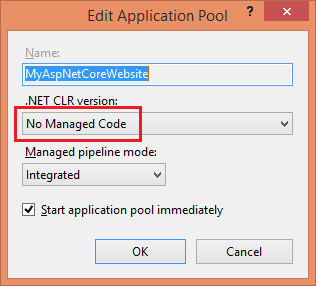 Under .NET CLR version pick No managed Code and click OK.